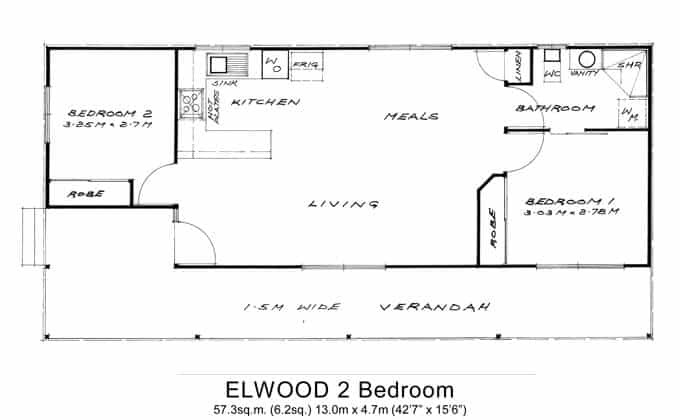 If you require a 2 bedroom granny flat that’s not too big, then the Elwood 2 bedroom would be your choice. Measuring an area of 57.3sq.m (6.2sq.) 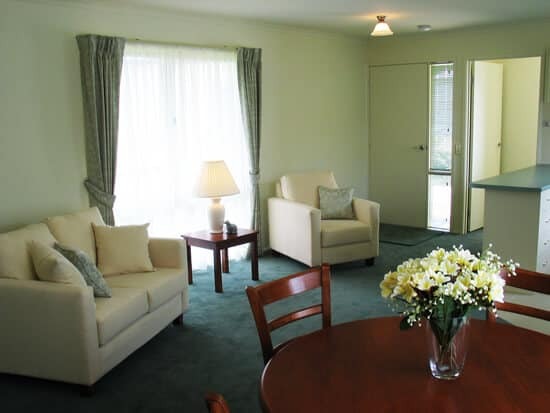 it is a little bigger than its 1 bedroom sister and is the perfect size for those needing a little more space or for when visitors stay overnight. 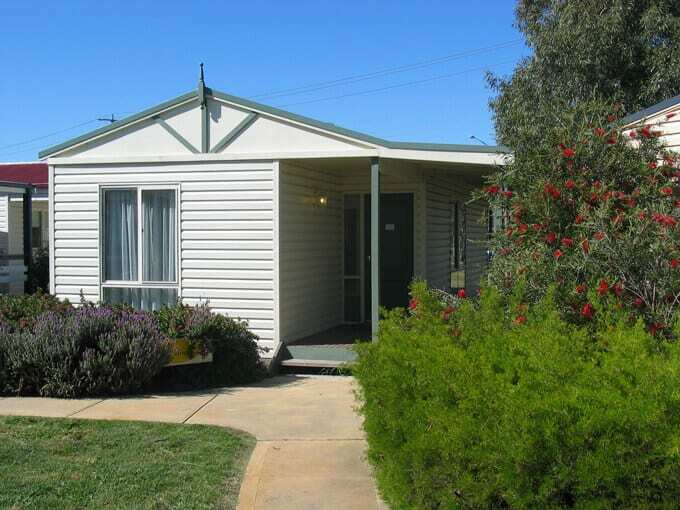 The Elwood 2 bedroom granny flat consists of two good-sized bedrooms located at opposite ends of the granny flat each with a built in robe. 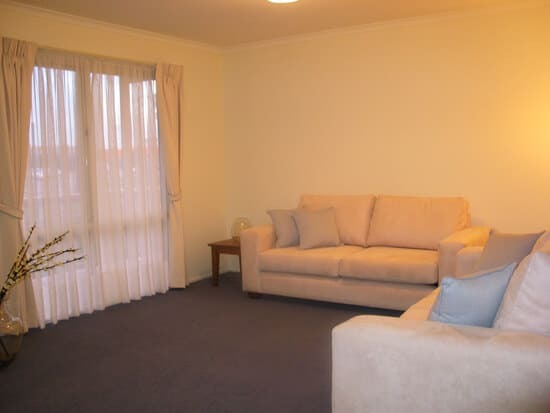 Adjoining the larger of the two bedrooms is the spacious bathroom which has a corner shower recess, heater/fan/light and washing machine facilities. In the middle there is a generous kitchen with plenty of storage space and a combined living/dining area. 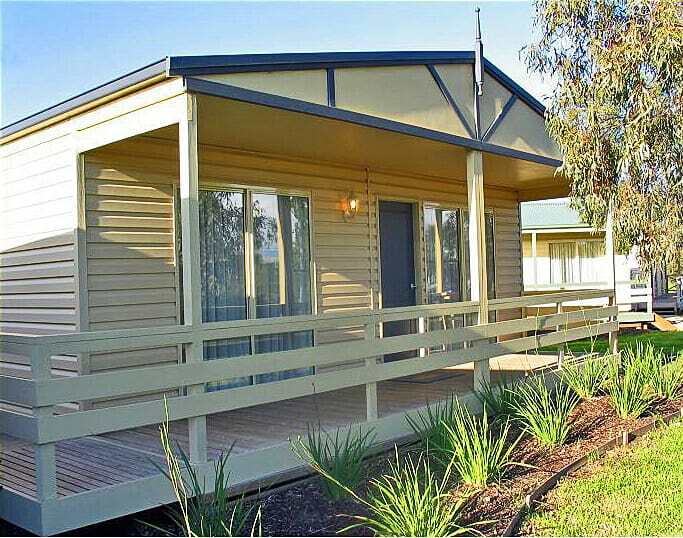 Externally, the Elwood 2 has a stunning 1.5m wide verandah running the full length of the home....perfect for relaxing. please Contact Us or please read our Frequently Asked Questions page. 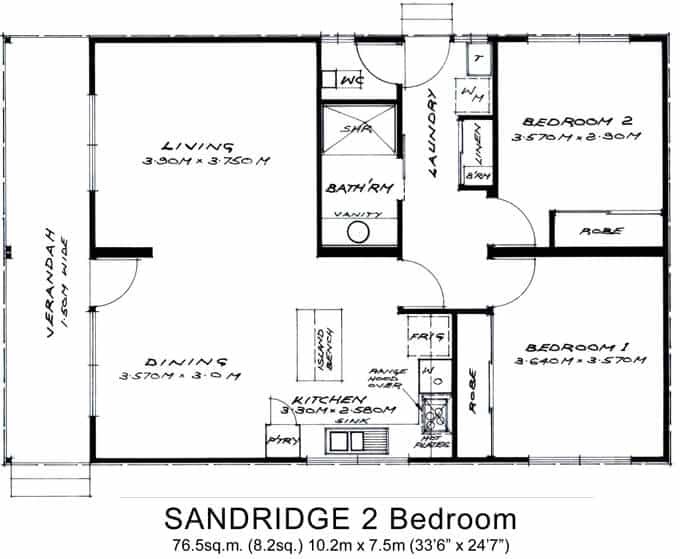 The Sandridge 2 bedroom granny flat measures 10.2m x 7.5m totalling 76.5sq.m. (8.2sq) in size. With a 1.5m wide verandah the Sandridge granny flat is larger than the Elwood 2 and has greater defined Living & Dining zones, while the island design Kitchen is substantial in size. Both Bedrooms have large built in robes and easily accomodates a double bed, while the skylit Bathroom has a enormous 1.5 shower recess as well as a heater/fan/light. There is also a separate W.C. & Laundry area with a stainless steel trough and Linen/Broom cupboard. When it comes time to move this granny flat, the home is separated into 2 sections and transported / relocated in 2 pieces.